Lisa's Chic Boutique was honored to have been asked personally by Nancee Borgnine to participate in the SAG Gifting Suites event 2011. Her father Ernest Borgnine was honored with SAG's "Life Time Achievement" award that evening too. Over the years I've participated in many celebrity gift basket events in the past which were awesome but this was my first event where I actually had an intimate conversation with each celebrity to talk about my designs and what an amazing experience it was! 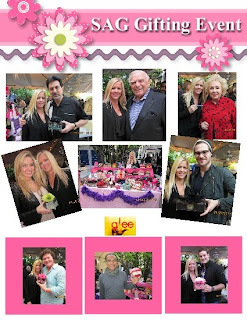 My Trinket Boxes, Swarovski Crystal Pens and Tutu Hair Bow Holders graced the hands of over 50 celebrities! 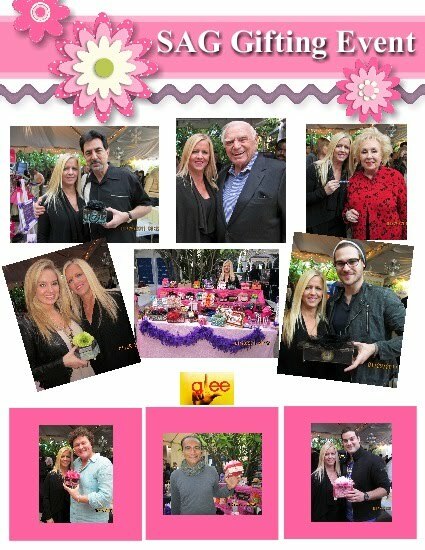 Please check out all the photos from the event on my Lisa's Chic Boutique's Facebook Page. (Photo) Showing just a few from the event, much more detailed ones on the Facebook Page, check them out!